Agency, 28 January : The US has warned Venezuela that any threats against American diplomats or opposition leader Juan Guaidó will be met with “a significant response”. 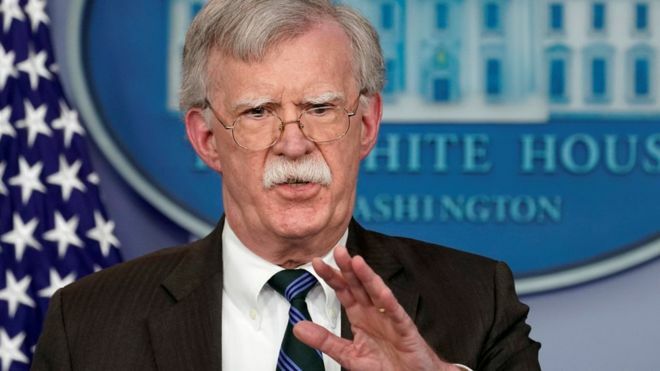 National Security Adviser John Bolton said any such “intimidation” would be “a grave assault on the rule of law”. His warning comes days after the US and more than 20 other countries recognised Mr Guaidó as interim president. Also on Twitter, Mr Guaidó called for a “peaceful” two-hour strike to paralyse the country on Wednesday and a “big national and international rally” on Saturday. On Saturday, several European countries including Spain, Germany, France and the UK said they would recognise Mr Guaidó as president if elections were not called within eight days. But Mr Maduro has rejected this, saying the ultimatum must be withdrawn.